Armand comes from a family of builders and architects and is passionate about designing practical and inspiring living spaces. He has over 20 years’ experience in assisting educational clients in both private, independent and public schools. 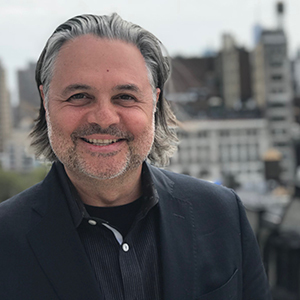 Armand is KSQ’s national director of K12 planning and building design, and as a LEED Accredited Professional he oversees the firm’s national responsibilities in the areas of sustainability and green building design. Listening, reducing the pressure and making it fun. A hands-on guy, he’s happiest sketching, analyzing and communicating exciting designs to his clients.